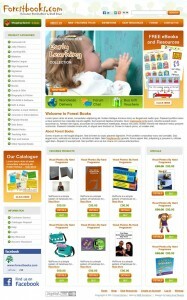 A quick revamp was needed, of a tired-looking eCommerce store, dedicated to teaching aids for deaf children. 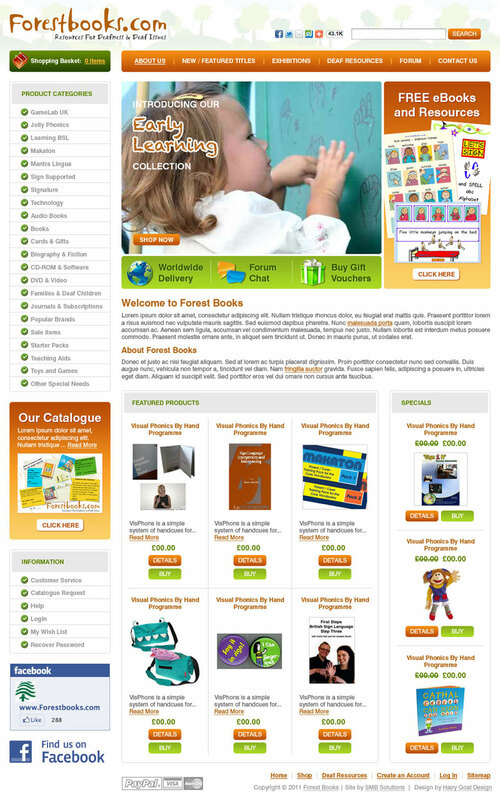 We were asked to make the site easier to navigate and more interesting to look at. Also, including their Facebook buttons was a must. After an indepth chat with our client, discussing their needs and design preferences we then went to work to create a bright, modern and userfriendly website design. As our main aim was to improve ease of use, we determined that navigation was key. 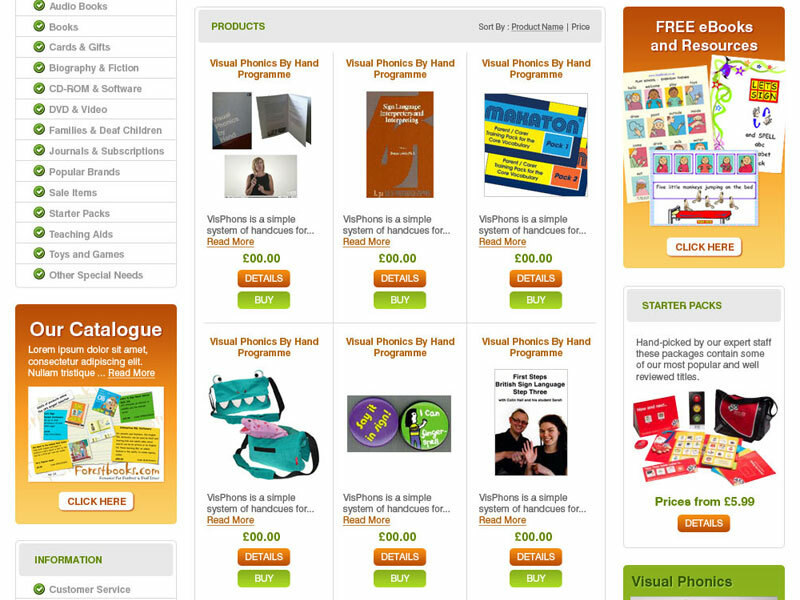 We switched the store categories around and made them permanently viewable so shoppers could see them at-a-glance. We keyed the main colour to the existing logo, but added some fresh green as a counterpoint and to make it more interesting. 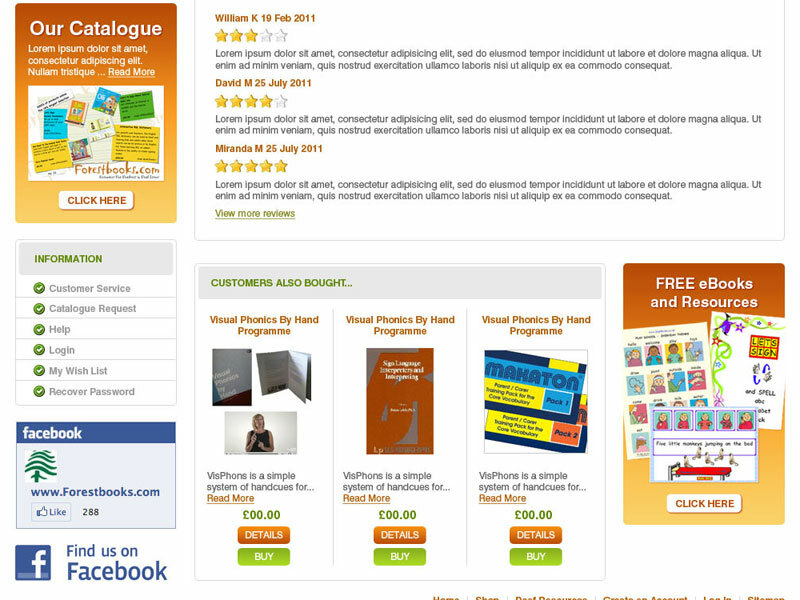 Adding useful graphic pointers and aids also makes the site more intuitive to browse through. We tidied up the product display design, making them colour coordinated and with larger images to really emphasise their products. Making them more search engine optimisable was also a priority. Come back soon to see the finished online version.